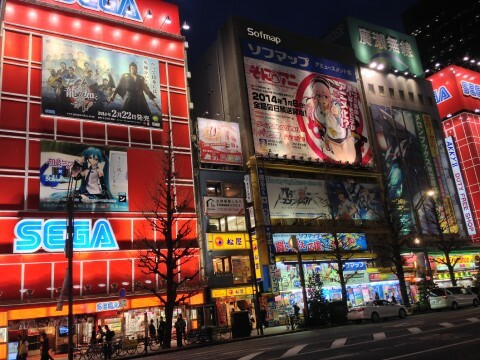 Many of the restaurants and cafés in the well-known district of Akihabara are just as cute, quirky and exciting as the anime and manga-related shopping. 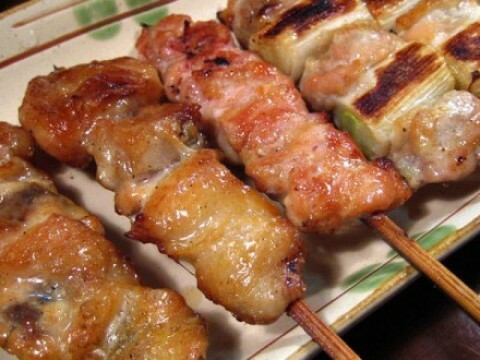 Though the district of Ueno is less anime-centric, there are still some culinary surprises to be found. 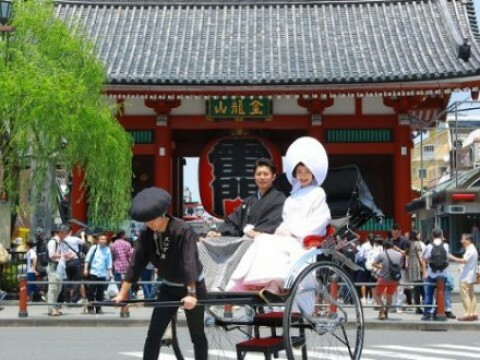 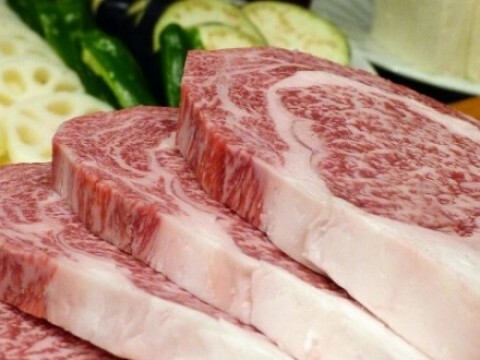 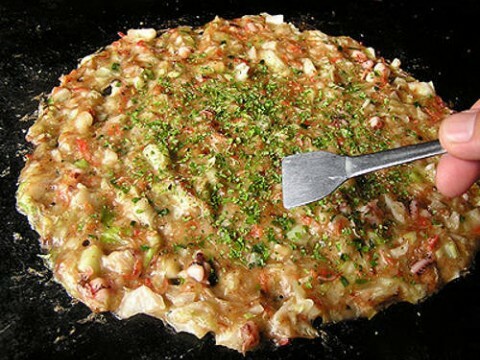 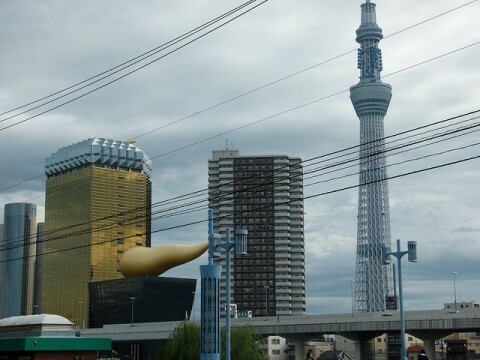 The following list shows off a mere handful of the fun places to rest and eat at in Akihabara and Ueno. 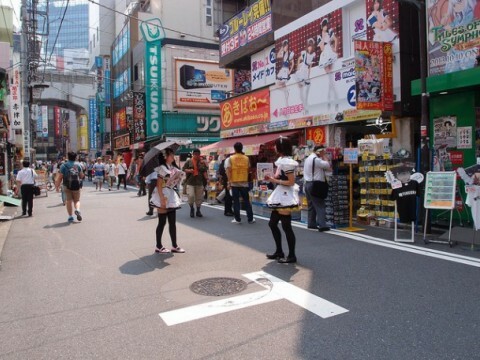 To find Akihabara’s famed Gundam Café, you need only search for the line-up of people snaking out of the entrance, past the human-sized Gundam replica and trailing down the side of the smooth white exterior. 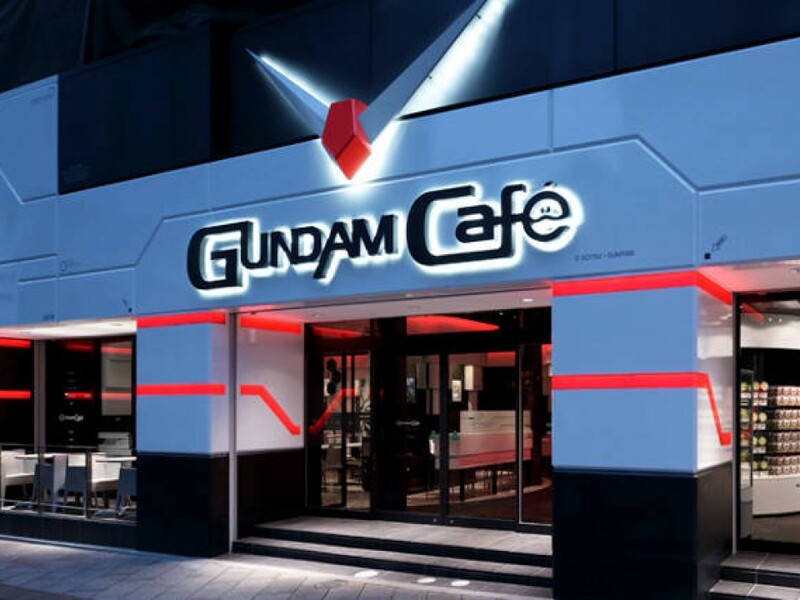 Arguably one of the most popular themed restaurants not only in Akiba, but all of Tokyo, the Gundam Café is close to the station and usually always packed. 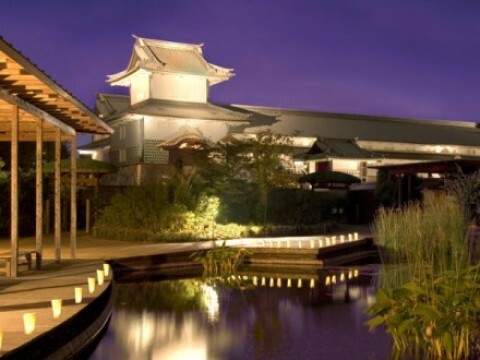 Though the menu consists of fairly standard foodstuffs, themed lunch sets and decorative dishes are available to order as well. 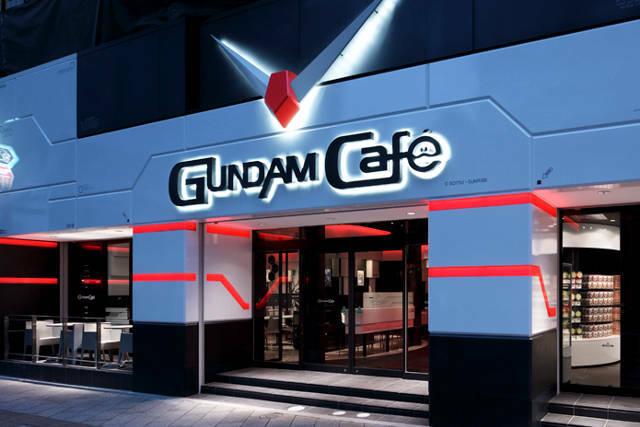 The interior of the restaurant is extremely clean and futuristic with several televisions playing Gundam-related visuals. 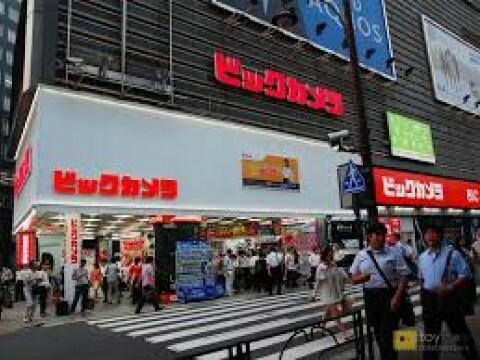 For mecha-otaku and/or those wishing for something to commemorate their visit, right next door is a Gundam merchandise gift shop. 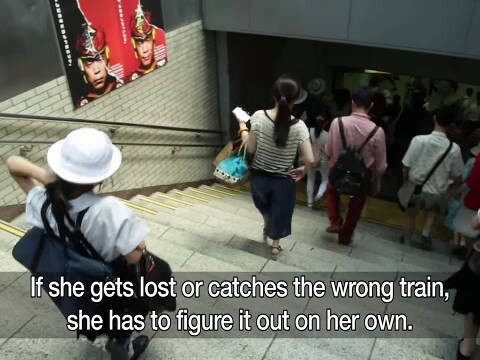 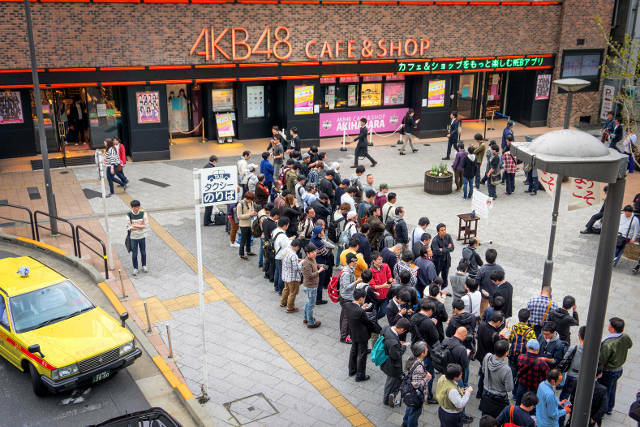 Those with an intense interest in Japanese pop culture are no doubt at least somewhat familiar with the immensely popular pop idol group, AKB48. 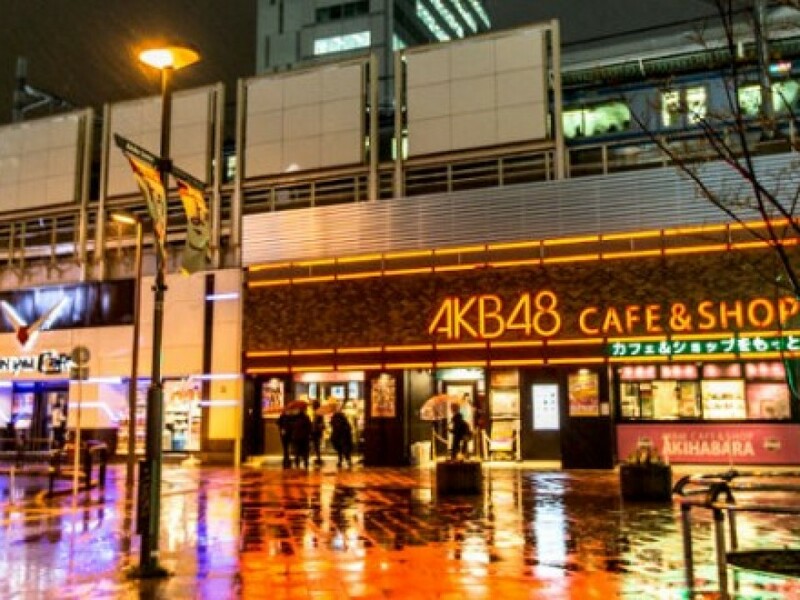 Just outside Akihabara Station and next to the Gundam Café is the AKB48 Café & Shop. 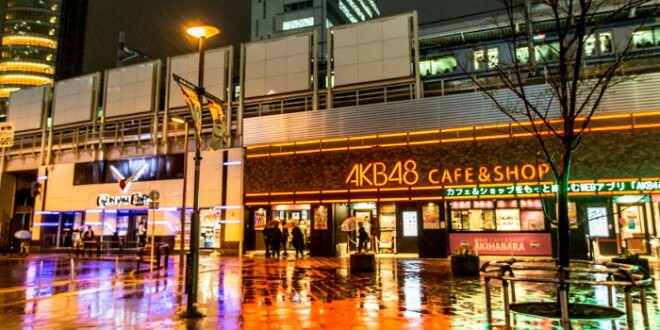 In addition to serving food inspired by the young girls, the café also has a theater where a rotating cast of AKB’s members perform daily during scheduled times (reservations are required). 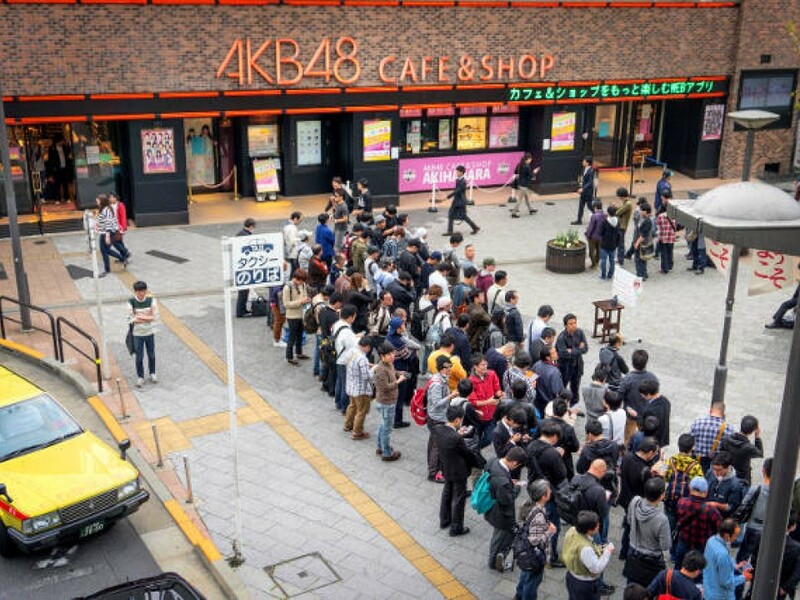 Filled with row upon row of AKB48 merchandise including keychains, posters and a vast array of other products, the AKB48 Café & Shop is an avid fan and collector’s paradise. 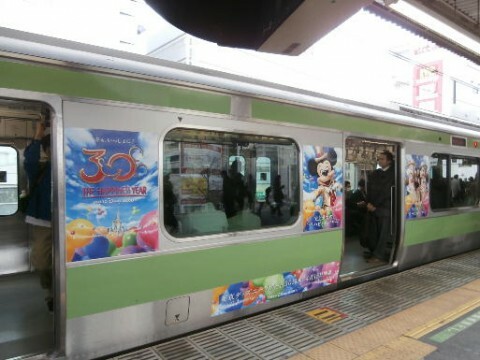 "Akihabara & Ueno Restaurants: Themed"